We are all winding down for the summer…and with two teenage boys, it is about time! I’m looking forward to the everyday school routine and getting some more sleep! ? 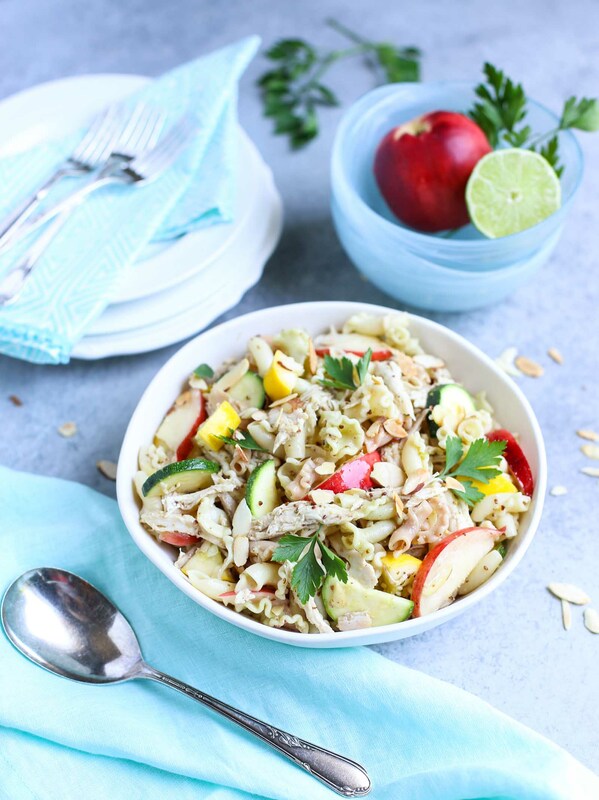 But before we put the brakes on all the fun, you must try this pasta salad surprise, Summertime Chicken Pasta Salad with Nectarines & Squash. Strange name…maybe a bit long? Yes, but chock full of delicious summer freshness and flavors. So hurry before it’s too late. 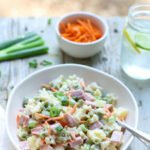 I saw this recipe in the August edition of Southern Living and loved the images and ingredients in the recipe. 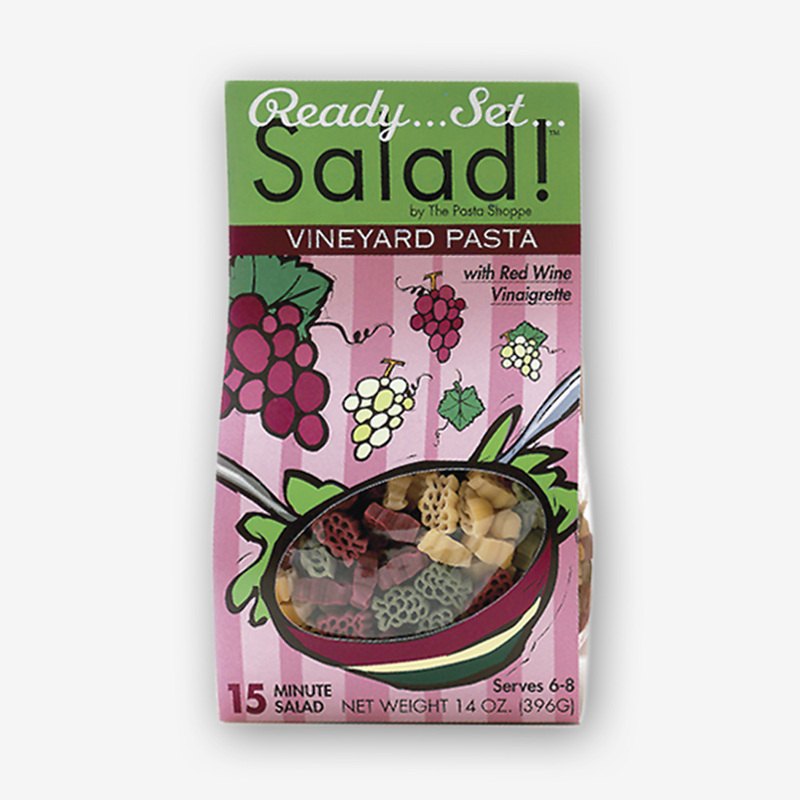 Honestly, their recipe name seemed a bit misleading…they call it “Summer Pasta Salad with Lime Vinaigrette”. In my opinion, this is not too representative of the overall dish. If you don’t read the ingredients, you don’t realize there is chicken, nectarines, or squash. And the taste was surprisingly yum, yum, yum! Anyway, it was published by Southern Living magazine…so who am I to criticize? By the way, when do you add diced raw squash to a recipe and think oohhh…sounds delish?! It caught me off guard believe me! I think this is the first time I’ve ever made a pasta recipe with raw squash…and I must say loved it. All of my “testers” did too. Now the lime vinaigrette is a great tangy twist and addition to this mixture – fresh and zippy. The bit of balsamic adds some balance to the lime, and the addition of Creole mustard and honey round out the flavor. I doubled the vinaigrette, as I always think more is better when it comes to seasoning a pasta salad. Now, you may not want to add the entire amount, but doubling insures you’ll have enough to maximize the taste. Save any leftovers for another salad later in the week. Have you heard me say this before? Rotisserie chicken comes to the rescue once again. I love the easiness of rotisserie chicken. Pulling the meat off the bones is simple and the chicken is already full of flavor. Adding chicken to the pasta completes this hearty summertime main dish. 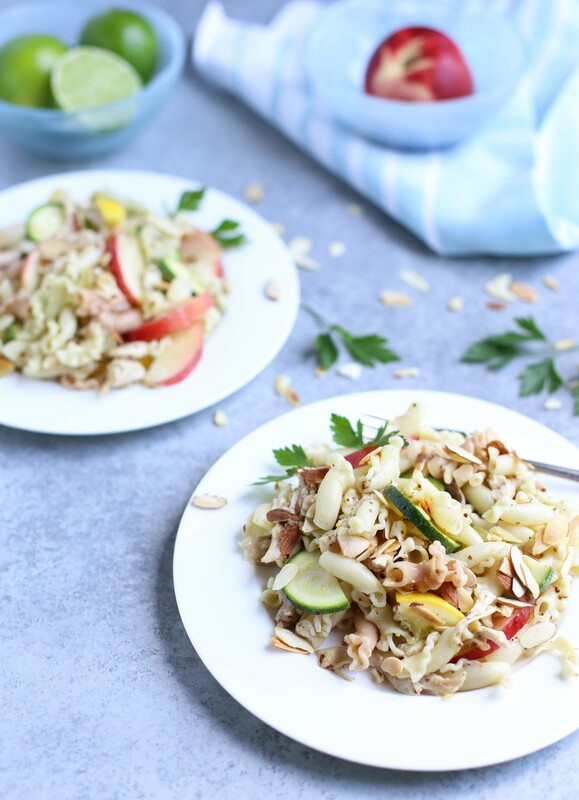 The sweet slivers of nectarines with the slightly crunchy bites of zucchini and squash just work…and I really don’t know why!! 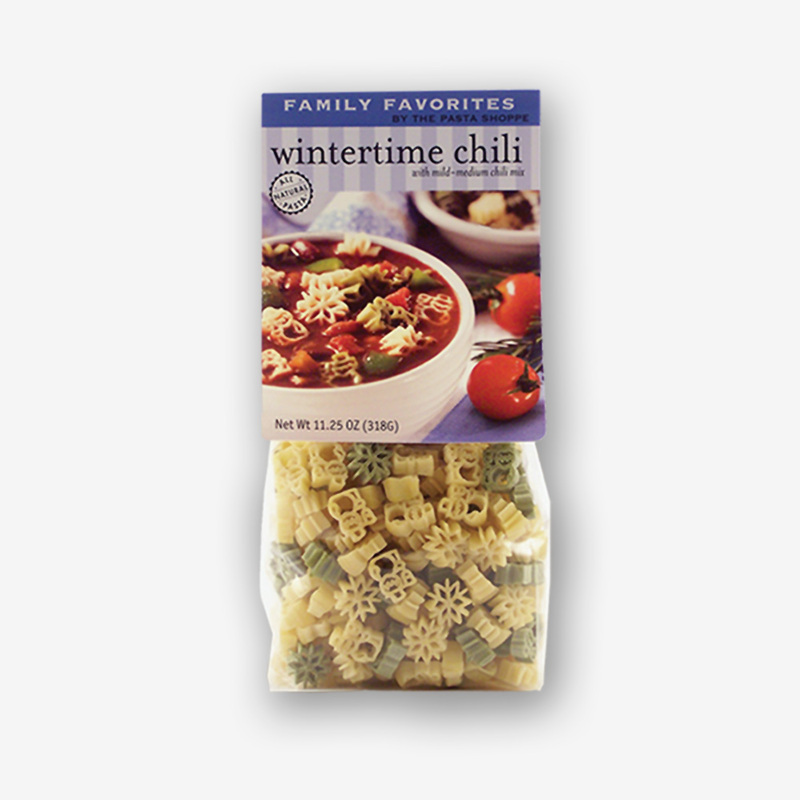 For the pasta shape, I choose our beautiful Lilies Pasta (Gigli in Italian). 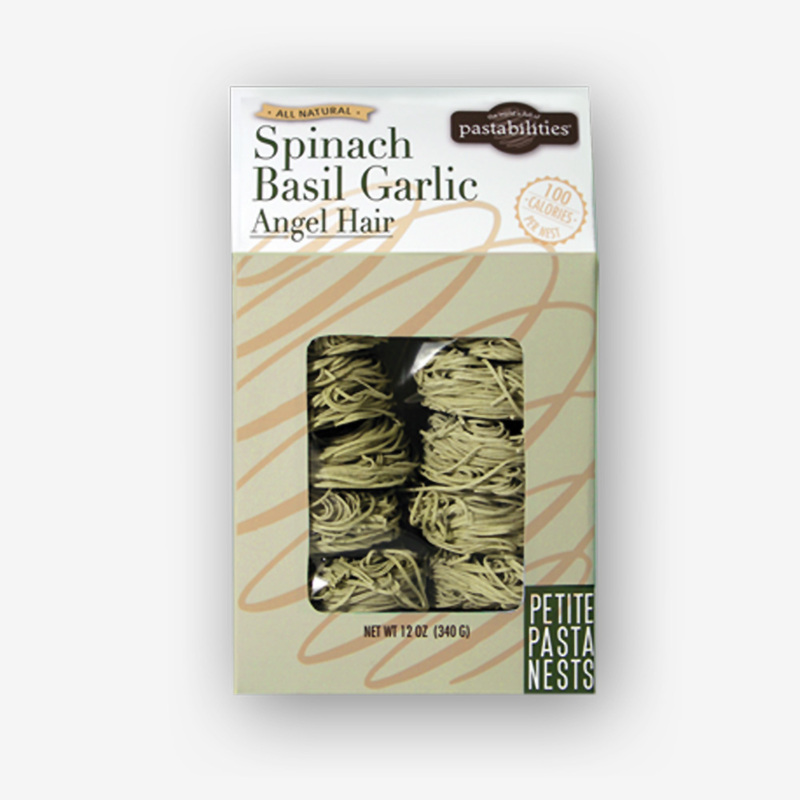 We make this in tri-color in either a all natural Lilies Pasta, or an Organic Lilies Pasta. Use whatever shape you like! 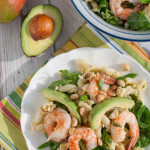 When reviewing my recipes on the blog, two popped up that are along the same vein as this one…first one is Hawaiian Pasta Salad, combining pineapple, ham, etc… and the other has a mango vinaigrette: Shrimp, Avocado, Spinach Pasta with Mango Vinaigrette. Both are worthy of a try, especially if you like the mix of a protein with a sweet, tangy dressing! 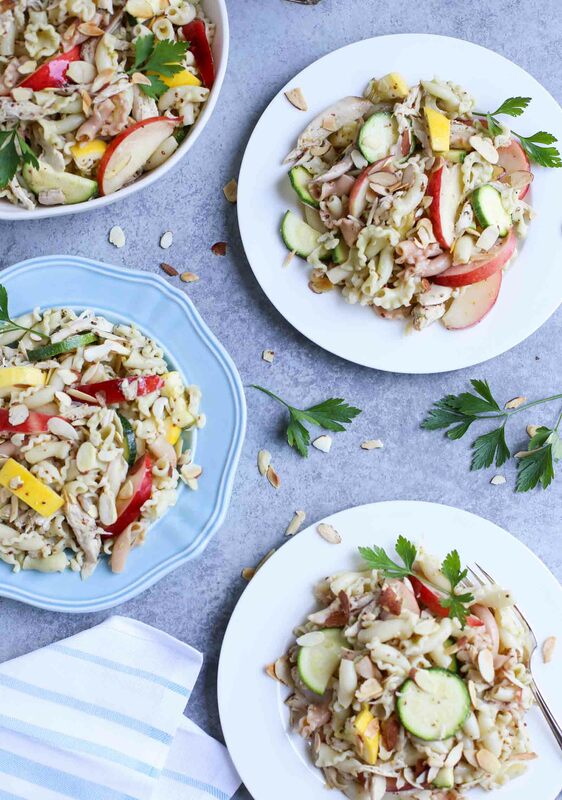 I recommend that you jump on this Summertime Chicken Pasta Salad and give it a try before we need to throw on multiple layers and sip on hot chocolate. Enjoy these last few days of summer and try something new, fresh, and different! 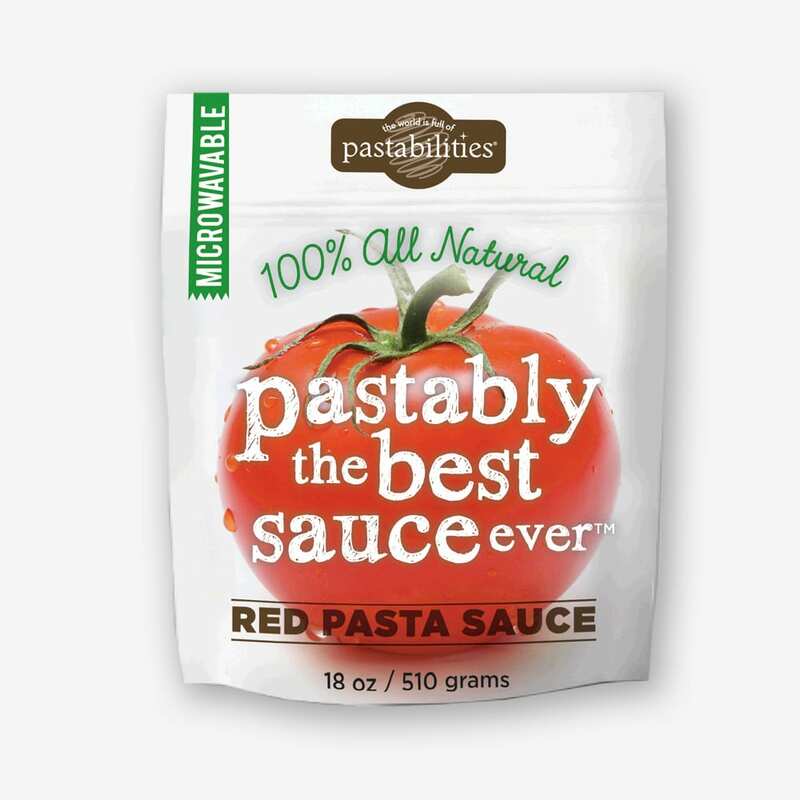 If you like what you see here, please follow us on Instagram, @thepastashoppe, for more recipe and foodie fun! 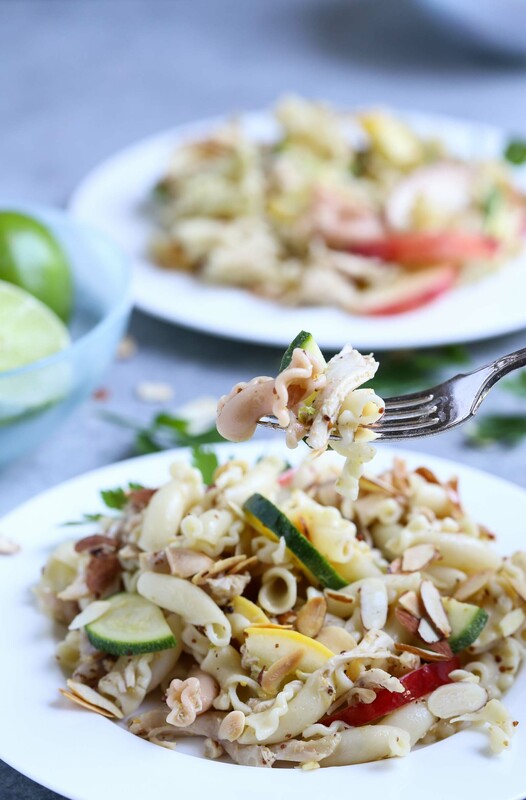 Delicious and unexpected Summertime Chicken Pasta Salad! 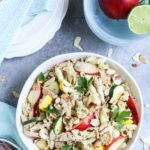 Unique blend of chicken, nectarines, and squash tossed with a lime vinaigrette. Recipe adapted from Southern Living magazine, August 2017 issue. 1 whole rotisserie chicken (approx 1 1/2–2 1/2 lbs. ), skin removed and meat torn or shredded. Whisk all ingredients, except olive oil, in a bowl. Gradually add olive oil and whisk until smooth. Or add all ingredients to a mason or jelly jar. Attach lid. Shake like crazy until completely combined! Add chicken, zucchini, squash, nectarines, parsley, and about half of lime vinaigrette to pasta. Gently toss. Season with salt and pepper. Add additional vinaigrette to taste. I probably added about 3/4 total. Adjust seasoning as desired. Top with toasted almonds and serve! Enjoy! « It’s Pasta Slaw, Y’all! 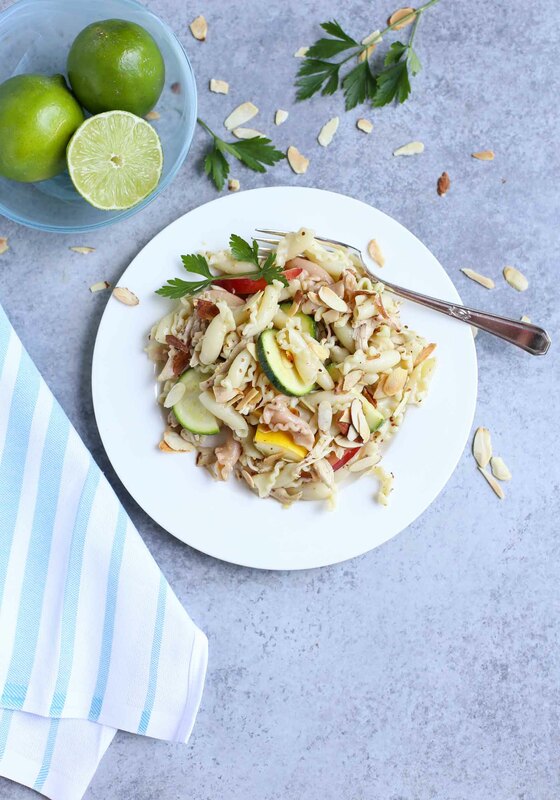 I agree with you–rotisserie chicken always comes to my rescue for a quick protein addition! 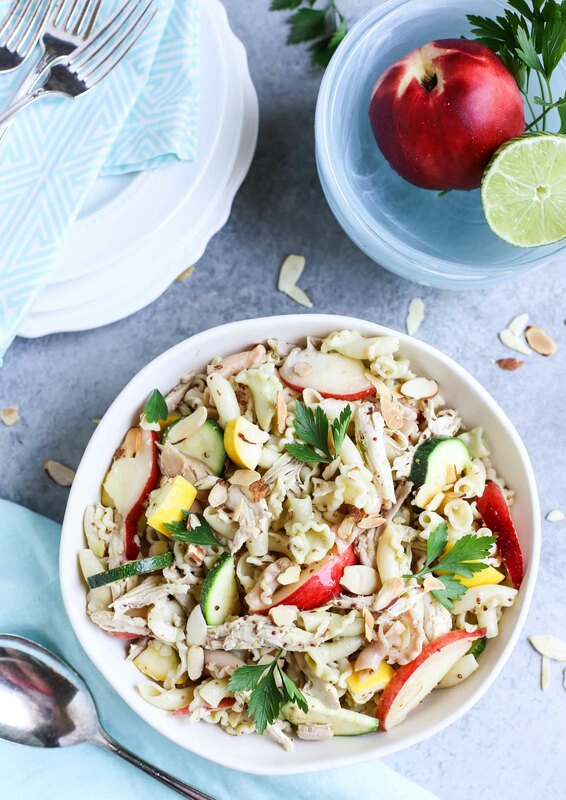 Love the salty sweet combo of the rotisserie chicken and the nectarines! What an interesting combination of flavors with a fantastic result! 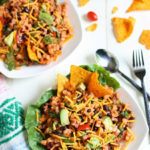 The sweet and savory combination is just perfect for summer! Delicious!